I came across this bag the other day on Amazon and I was immediately impressed. 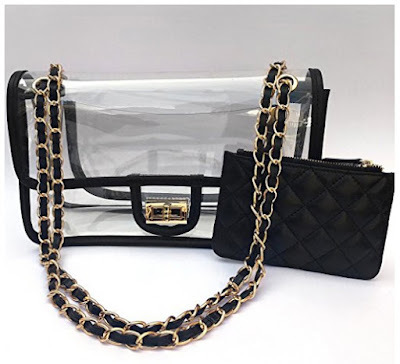 It's one of the only clear bags I've seen that I like and it is quite stylish. The fashionable chain-style handle helps a lot. It also meets the stadium regulations. It's a win!